An ekphrastic poem is a poem inspired or stimulated by a work of art. This night shows off the skills of 8 poets and 8 painters! More information about the performance and seat reservations is available here. The 2018/19 Season Schedule for Munroe Saturday Nights can be seen here. Join us on the lawn to do some crafts and wait for the parade! More info. here. Get up-to-date information about new classes, workshops, events and more with our monthly newsletter - sign up below! The Munroe Center for the Arts is Lexington's home for visual and performing arts -- for education and experience, for self-expression, rejuvenation, and friendship. 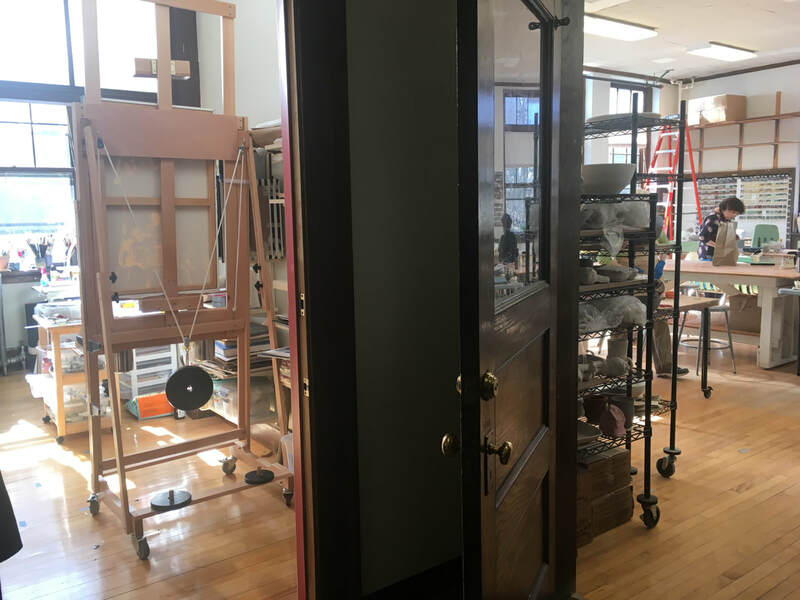 Housed here are 5 schools in the arts with hundreds of classes each year as well as 11 weeks of vacation camp, plus studios for 10 local artists, an art gallery, and a free monthly performing arts series! Join us for a class, or one of our community events! Thank you to those who have supported Munroe in the past, and those who continue to do so. If you would like to know more about what donations support, or if there is something in particular that you wish to sponsor, please email us or call the Executive Director at 781.862.6040. We do not provide transportation service to the Munroe Center for the Arts. However, we are on the MBTA routes for the #62 and #76 busses, and Lexpress bus service. ​Clarke and Diamond Middle School student families can click here to get Lexpress directions from these schools to MCA.